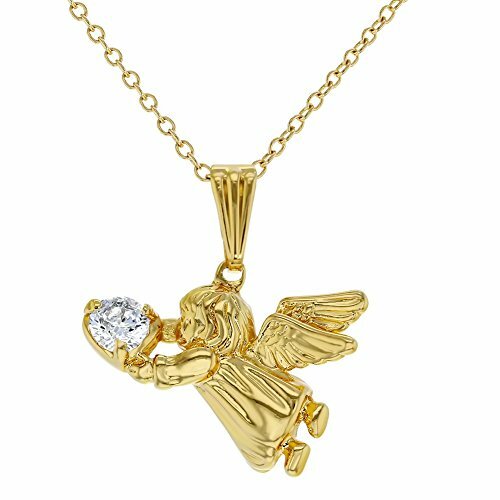 In Season Jewelry 18k Gold Plated Guardian Angel Pendant Necklace Kids Girls Children CZ 16"
These meaningful guardian angel pendant necklace is perfect for someone special in your life. This religious necklace for kids is the perfect gift for a baptism, christening or holy communion. It's sweet and delicate, perfect to be worn in religious occasions. A 16 inches chain is included.